The first Keep Newtown Clean for the new year is on Saturday 11 Jan at 9am to 12.30pm. Newtown is looking good and its staying clean and tidy ….we just need to maintain the standard now. We have noticed that the tagging is not returning like it used to and that if it does return its removed responsively. Feedback from Residents and Businesses are positive with a positive feeling about the difference it is making for our community. You are invited to join our first clean up for 2014 Please invite your family, friends and neighbours. We will have the BBQ there supplying free food. Looking forward to seeing you there. A good turnout tonight to hear Generation Zero on transport options, and get a preview of the restoration of Laura Rosier’s History of Newtown. Minutes of the October meeting here. Board of Enquiry on the basin bridge aka “the flyover”. The Board of Inquiry is currently hearing evidence from submitters. For those interested in following thos one there is a page on the Environmental Protection Agency website where regular updates are posted. Check it out here. During September the New Zealand Centre for Sustainable Cities hald a seminar on the Spine study. This included some interesting challenges to the options evaluation that had previously been published. You can check out the powerpoints presetned at the seminar here. While the official study came down clearly in favour of bus rapid transit over rapid rail, it is clear that the debate is still very much a live one. 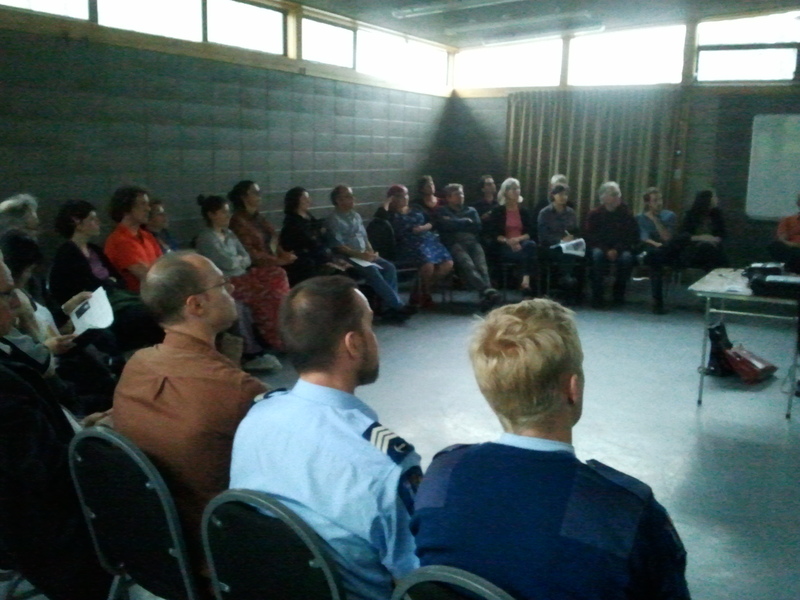 The AGM was held on Monday 30 September, followed by a brief monthly meeting. Download the minutes – note these are draft until conformed by the next AGM. Executive Committee members: Laura Newcombe, Will Moore, Daphne Pilaar, David Wilcock, Carol Comber, Neville Carson, Steve Cosgrove, Kevin Lethbridge – Membership, Cheryl Robilliard. Newtown Festival Director: Martin Hanley. The Wellington Police together with the Wellington City Council are currently running an operation focused on burglaries, thefts from cars and the unlawful taking of motor vehicles in Newtown and Mt Cook. Statistics have shown this time of year spikes have occurred in these offences and this operation is a proactive move to prevent these offences occurring. A large number of these offences are occurring as a result of people not securing their property and allowing offenders an easy target. A multitude of strategies are underway involving school activities, a crime prevention video on WCC website, a media strategy, crime prevention advice personally and via pamphlets to targeted areas, together with a large police presence patrolling areas identified through our intelligence analysis. We are strongly encouraging the public to be super vigilant in regards to security of their home and vehicles, ensure they lock their doors, alarm their houses, leave nothing valuable on display in their vehicles, report suspicious activity, if they see something which doesn’t look right, report it. There has already been one successful ‘catch’ this month by Wellington South Community Constable Sam McKenzie. Sam analysed of number of burglaries to local businesses in Newtown and Kilbirnie and developed a plan, whihc resulted in his catching an offender red handed. This person was linked to 12 burglaries to business premises in Newtown/Kilbirnie. The offender is currently in Rimutaka Prison. A new edition of “Plant Me Instead” for the Wellington region is out now. Many of the weedy species invading and damaging our natural areas are ornamental plants that have jumped the fence from gardens and gone wild. It costs councils, government departments and private landowners millions of dollars, and volunteers and community groups thousands of unpaid hours, to control these weeds each year. 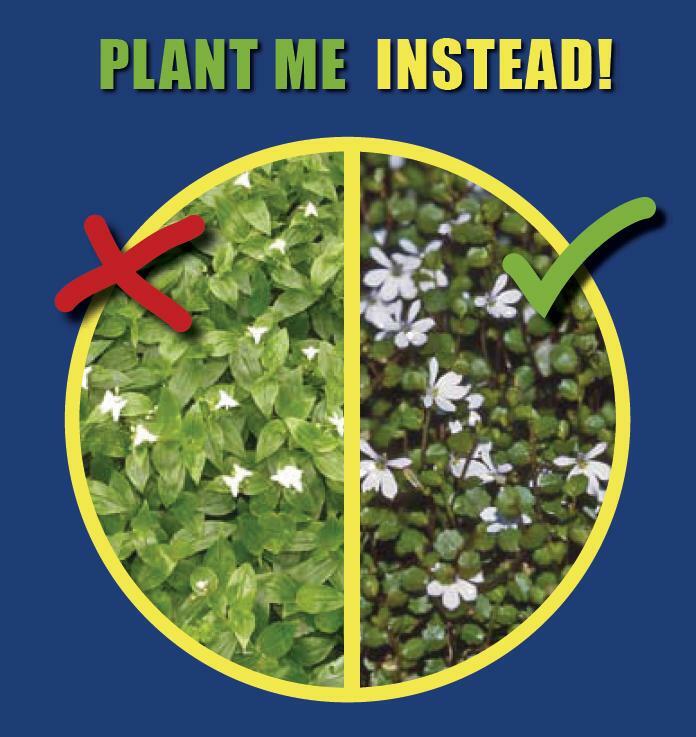 One of a regional series published by Weedbusters, this Plant Me Instead book has been funded by local councils and the Department of Conservation. It lists the weeds of greatest concern to those who work and volunteer in local parks and reserves, national parks, bush remnants, wetlands and coastal areas. Suggestions are given for locally sold non-weedy species – both native and non-native – that can be used to replace these weeds in your garden. Please contact illona.keenan@wcc.govt.nz if you would like a free copy, or you can download it. I Would Love to be a …. From time to time shops in the mainstreet become vacant and sometimes stay that way for sometime waiting for someone to come along and take a punt on locating their business there. But how do people know who what sorts of business might be in demand and be likely to succeed here? Maybe the answer is to ask the locals. The latest initiative from the Newtown Business Group is taking precisely that approach. One shop front that has remained vacant for while is the former travel agent opposite “The Wedge” in Riddiford St. Now you have a chance to let people know what sort of business you would like to see open there. The Business Group has placed post-it stickies on the front window of the shop. Each says “I would love to be a” with space for you to write what you would like to see happen on that site, and add it to the collection. Go to it!